Pasquale Natuzzi: in 2015 we will continue to invest in the retail development of the North American and Asian markets. An additional 6 new stores will be opened in these areas by the end of the year. Santeramo in Colle (BA), October 27, 2015 – Natuzzi continues to expand its retail chain in the U.S and Asia – two key markets for made in Italy products. With the opening of the new Natuzzi Italia Store in Naples (Florida) – in addition to the new Miami and Philadelphia new stores – the Group has opened 3 new stores in the U.S. in 2015, bringing to 252 the number of mono-brand sales points in North America. “The U.S. is a key and well-established market for our Group, in which we have been present since 1980” – stated Pasquale Natuzzi, Chairman and CEO of the Natuzzi Group. “These recent openings, together with our flagship store in New York opened last year, further strengthen Natuzzi’s presence on the American market. In the first part of the year, we posted some of the best sales figures on the market – up 20.2% on last year”. Strong results were also returned in Asia. 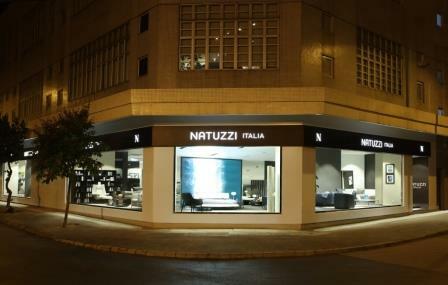 In the first half of 2015 the Group opened 11 new Natuzzi Italia and Natuzzi Editions stores (the two Natuzzi brand product lines), including the first mono-brand stores in Hong-Kong, Colombo (Sri Lanka) and Busan (South Korea). Natuzzi mono-brand sales points in Asia now number 162. “Despite recent financial turbulence – stated Pasquale Natuzzi – Asia, and particularly China, are among our main and currently best performing markets. In the first six months of 2015, Asian sales rose 22.4% over the same period of 2014. Our goal for 2015 is to continue to invest in retail development in North America and Asia: we expect to open 6 new stores in these two areas by the end of the year”. Europe also delivered a strong performance in the first half of 2015. The Italian market – where two Divani & Divani by Natuzzi stores were opened in Novara and Turin – reported a sales increase of 13% on the same period of last year. To date, the Natuzzi Group has opened 95 new stores worldwide during 2015. With these new openings, the Group markets its products through 1,155 sale points worldwide.